I've been meaning to do this for a while (about 6 years in fact) and then these comments (and this and this and this) finally awoke me from my slumber. And so, for your pleasure, Helvetica and Bodoni tshirts now available on eBay. 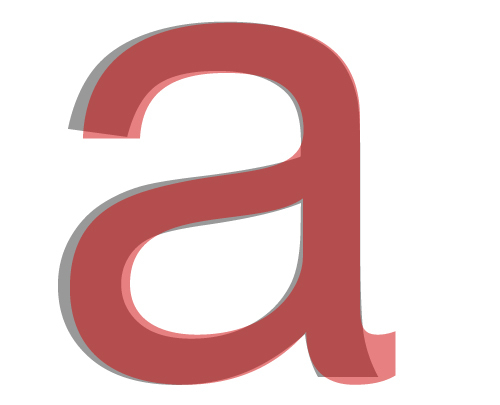 Helvetica here and Bodoni here. I got sent this text message the other day. 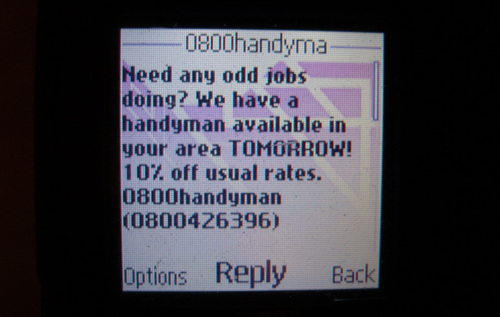 Handyman is an absolutely brilliant service. It's a bit like a Rent A Dad service for lazy city dwellers. They're handymen on scooters who'll come round and fix the annoying little jobs that you can't do or can't be bothered to do. Small things, like fixing a loose cupboard door, fitting a plasma screen, new lights or putting up some Ikea stuff. Things you wouldn't need a builder or an electrician for. Things you'd ask your Dad to do if he lived next door. Like a lot of new businesses they've got loads of cool ideas. For a start they all use scooters so they can move quick. All the handymen have their picture on the website so you can see who's going to pop round - which is reassuring. They're not cheap but they're good and efficient. I've used them before which is why I got the text message. I didn't have any jobs for them but I admit I was racking my brains. After just moving office I think 10% off is a seriously good offer. Back to the text message. Isn't this a good idea? Let's say they have got some bookings in the area, a couple at 9am, 10am, 4pm and 5pm. Doesn't it make sense to try and fill the gaps? Such an low intrusion way to send this information out. Seeing as I'm already a customer I don't mind the text. And it's cheap too. 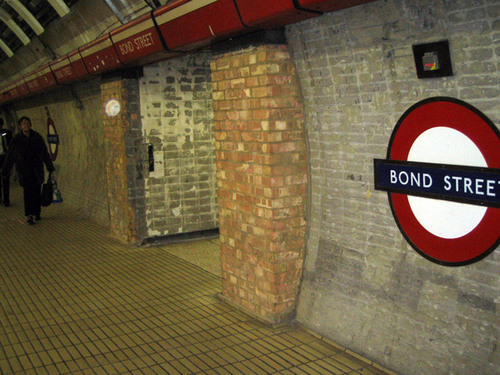 The Tube gets an adless make over. 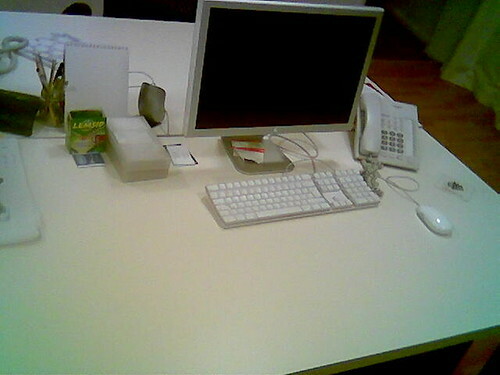 Almost looks like a design studio. Perfect for a grey Monday. 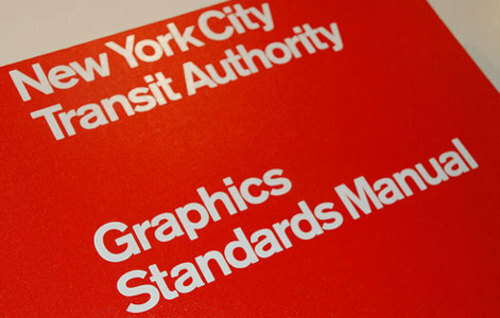 NYC Transit Authority Graphics Standards Manual Flickr Set. Make sure you read these comments by Bruno Maag. If you like type, you'll find it fascinating. "Let's get a little bit of history right. 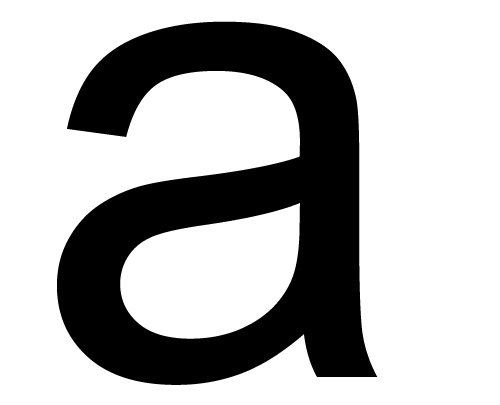 Arial was designed in the Monotype drawing offices, for Microsoft, in the late 80s"
"I am also no friend of Helvetica. In fact, I would love to see this typeface banned from use for a while. Just so designers can see that there is typographic pond life beyond." "I'd happily give up my day job and wash plates if the rest of the world adopted Univers as the font to be used." Read, learn and enjoy. 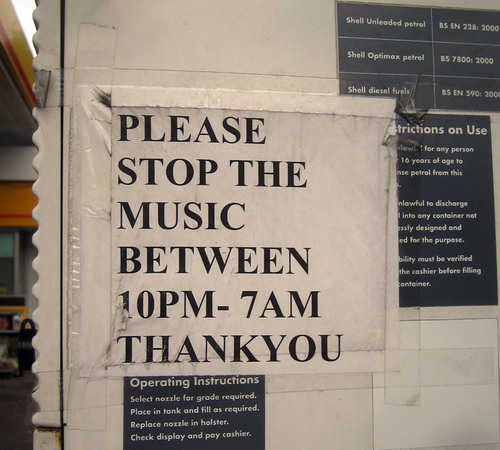 You don't get this quality of typographic discussion everywhere. If you've arrived here via Delicious or Kottke, welcome. Have a seat and let me show you around. This is how we do things around here. 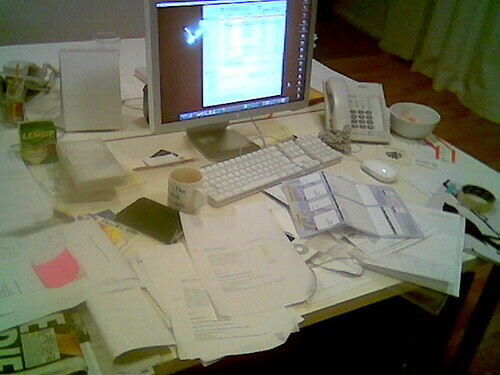 We talk about design, most of the time graphic design and little else. You really ought to check out some of the stuff about Britain's Greatest Graphic Designer (RIP), a layman's explanation of kerning and this post grandiosely titled The Future Of Graphic Design. No humility around here. Over here you can find out why the number 10 at Downing Street is wonky and if you're a student there's some stuff which may or may not be useful. Should you be so inclined you can contact me here. Comments, comments, comments. We all love comments. You can be rude, obtuse, you can even plug your own enterprises, anything goes in the comments section. So type away. Two brilliant pieces of graphic design from the Khoi and the gang at the New York Times. I've been meaning to link to the first one for a while. It's called Faces Of The Dead. 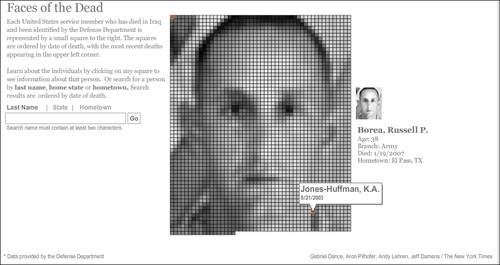 Each member of the US Services who has died in Iraq is represented by a pixel sized square. 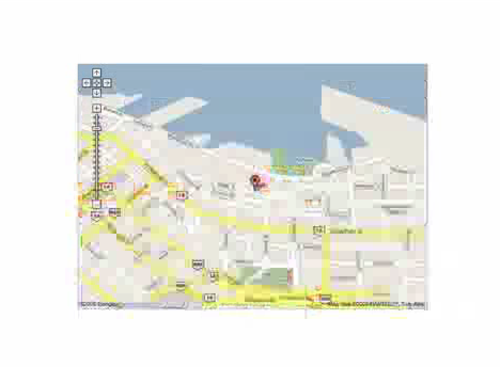 When you click on a square, and therefore a name, the pixels form that person's face. It's very well done, sensitive, interesting and a powerful way of representing some powerful statistics that we normally just see as lists or numbers. It's graphic design at it's best. 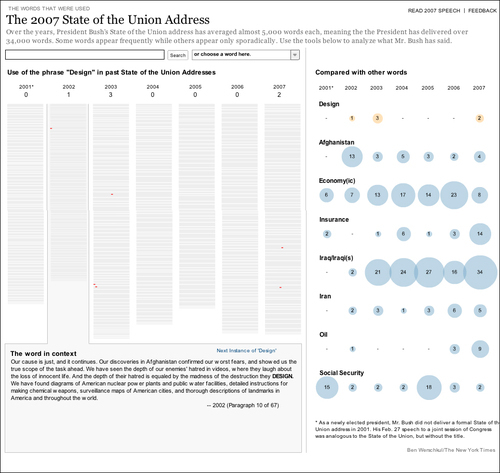 The second one from the same people is a pictorial representation of the key words used in all Bush's State Of The Union addresses. You can highlight keywords and see how often he mentioned that each year. You can pick obvious key words like Iraq or Terror or you can search for more obscure terms - like design, which he said 3 times in 2003. Again it's very well done. Sensitive, powerful and elegant. What I like about both of these, but particularly the last one, is how they take important, dry information and make it accessible and interesting to a wide audience. 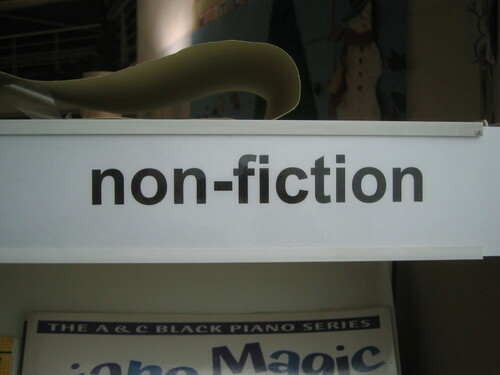 The design helps the comprehension of the information rather than hindering it. And it's exactly the sort of thing newspapers ought to be doing online. "The first mobile device that I know of to use the typeface Helvetica throughout"
"It’s the first mobile device that I know of, and certainly the most elegant, to use the typeface Helvetica throughout its interface. Everyone knows I’m a huge Helvetica fan, and you could sell me almost any device that uses the typeface, in part because there are no devices that do. 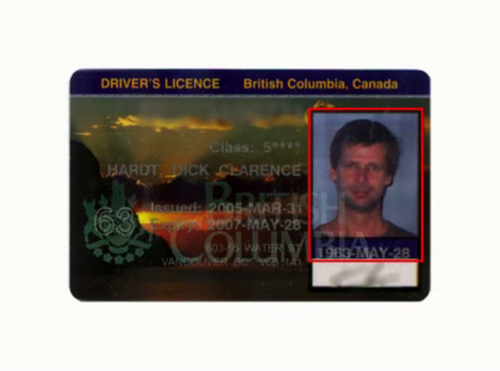 But there’s a reason that this particular usage seems to signal something more to me." 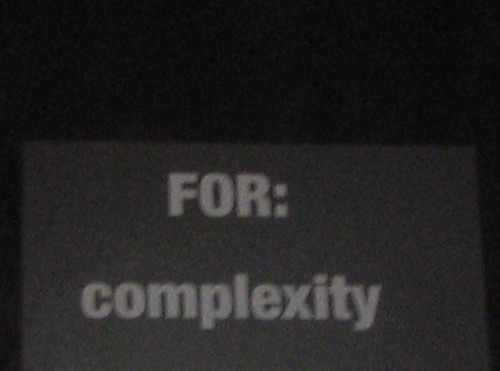 What the ever excellent Khoi Vinh thinks about the use of Helvetica in a UI. I've had this bookmarked for absolutely ages and not done anything about it. Time to rectify that. I have no idea where or when I found this but it's probably from Tony Spaeth's brilliant Identityworks website. The website is an amazing catalogue of all the major rebrands of the last 9 years, with a slight American bias. Anyway, I'm linking to this article from the New York Times which crits the before and after of Kodak, Amtrak and UPS rebrands as well as others. I'd love to post the article here, but the NYT have a scary looking copyright policy. So I wimped out, hence the blur. Brilliant and lovely. Taken from thediagram.com with many thanks. Via Design Observer. If you follow thediagram.com link you can see a much bigger version. Take a look at this. Is it graphic design? It's a poster, it's been thought about, it's been considered. 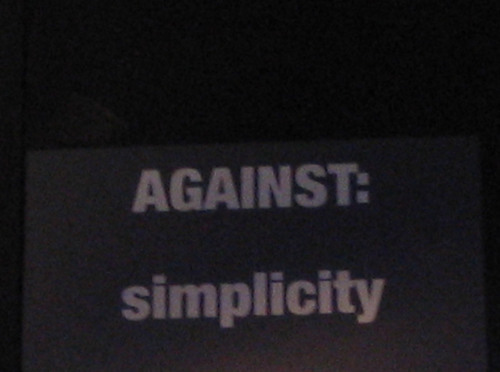 Not as obviously 'designed' as Lennon's anti-war posters but that type still fills that space on purpose. 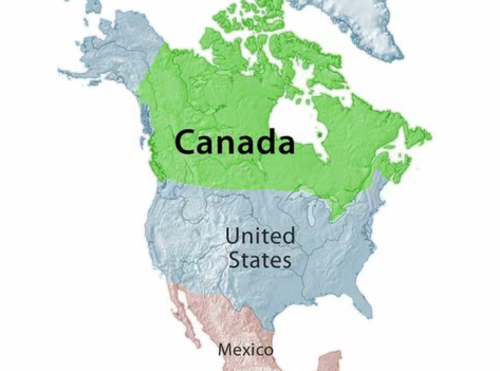 The colour has been used to highlight the message. The big text shows awareness that the poster will be read from a distance. All these posters are communicating a message. All of them have been created to get across a clear message to a clear target audience. So, in effect, it's been designed, right? Except it's not design. It's art. Have a look at this picture. 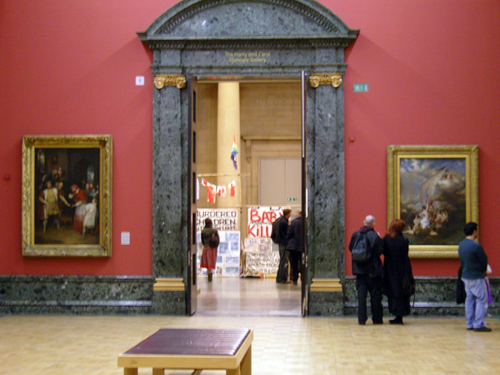 At the weekend I went to see Mark Wallinger's exhibition State Britain. For those of you who don't know the back story goes something like this. 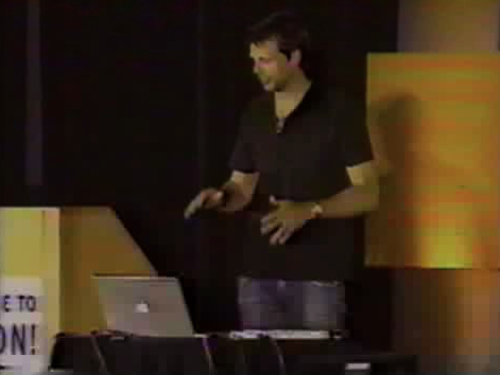 Way back in July 2001 Brian Haw began a protest in Parliament Square, London. Bang outside the entrance to the Houses of Parliament. He was protesting against the economic sanctions in Iraq. 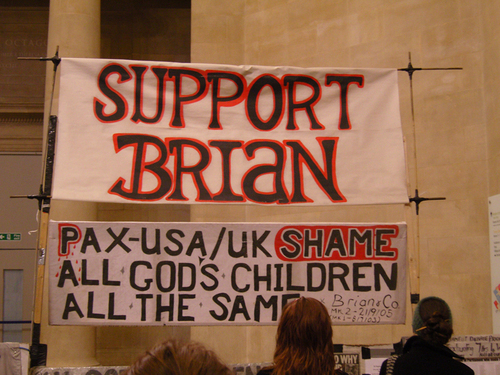 Obviously, given the events of the rest of 2001 Brian's protest grew and grew. And so did his site along the edge of Parliament Square. It's hard to capture in a photograph but the protest ended up looking something like this. Better, more comprehensive, pictures here. On 23 May 2006, following the passing by Parliament of the ‘Serious Organised Crime and Police Act’ all 'unauthorised' demonstrations within a one kilometre radius of Parliament Square were banned. Shortly afterwards the police raided Brain's protest and took all the posters down bar a short 6ft area. It so happens that the one kilometre radius bisects Tate Britain (bisects it a little too perfectly for my cynical eye) hence Wallingers recreation of Haw's protest and hence the title State Britain. 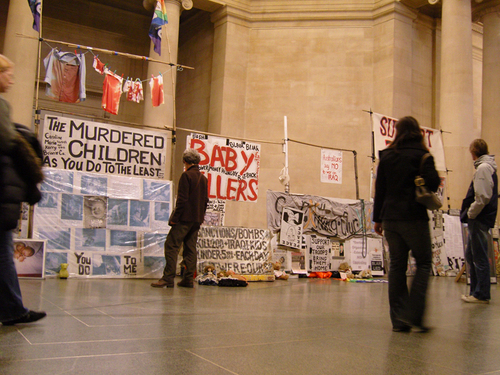 Each one of the posters (which were destroyed by the Police) were recreated in Wallinger's studio and are now on display in the Tate Britain. So that's art, then? 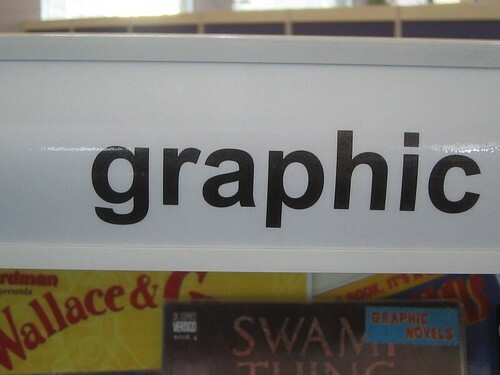 But a minute ago we thought it was graphic design, didn't we. So is it both? At least we can agree it's a protest, right? What if Charles Saatchi buys it for £1 million, what is it then? And what about the target audience we talked about earlier. Are they still the same people the posters were intentionally created for? From a visual point of view the posters look better against the lush green grass and historic stone of Parliament Square. The protest had an organic, scrap book feel to it that added to the vernacular of the weathered posters. I was very quickly stopped from taking pictures by the security guards in the gallery. Why? An art exhibit that charges the police with curtailing freedom of speech but you can't take pictures of it. Does anyone else find that odd? I can take pictures to my hearts content in the Design Museum. I left with more questions than answers, which is maybe the point of art, but I'm sure these weren't the questions that Wallinger, Haw or the creators of the banners had in mind. "Excuse me mate, can I speak to Dali?" 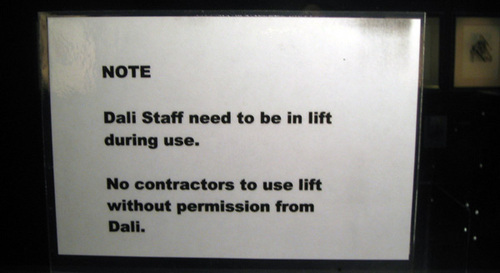 Popped down to the Dali museum the other day. Don't bother it's rubbish. I saw this sign which made me laugh quite a bit.